Expressive markings of watercolour grass greens and butter yellow. 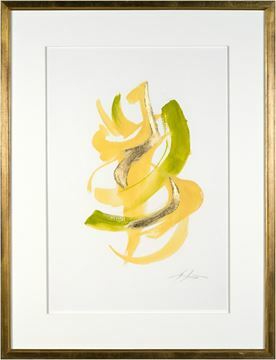 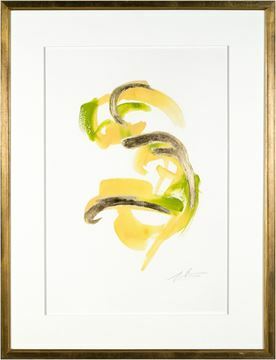 Victoria Pearce's most recent "runes" are expressive markings of watercolour grass greens and butter yellow. 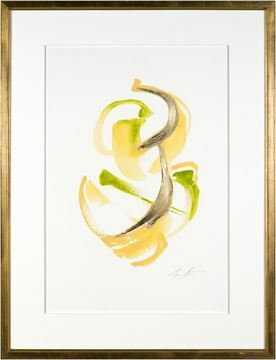 Each is individually over laid with hand applied gold gild slashes. 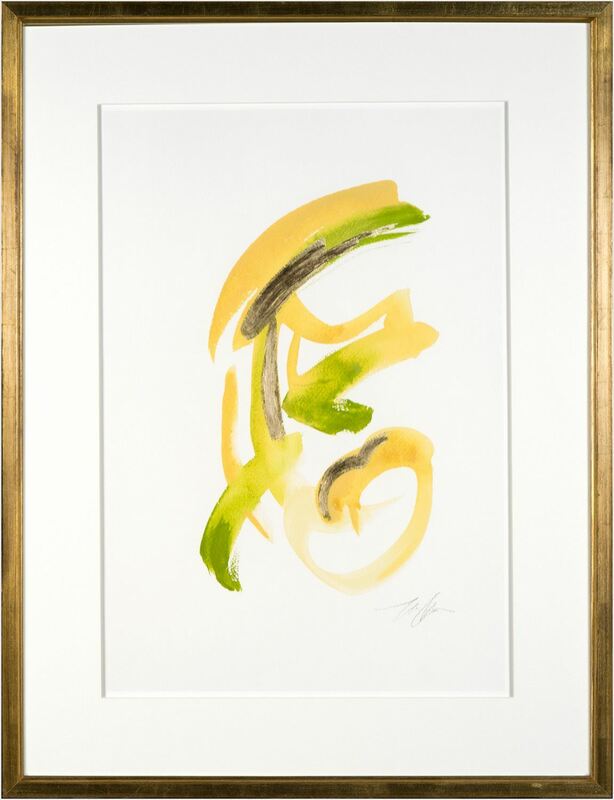 The perfect textures of paint on paper are set off with raised linen textured matte and gold gild Italian frame.